There's a lot to consider when purchasing a new display: size, resolution, performance, and of course, price. If you're in the market to buy a new display for your computer, we're here to help you decipher the specifications and let you know what features to look for and what you can ignore. At present, our favorite desktop display is the HP Z Display Z27i ($769), a 27-inch professional desktop monitor with a 2560 by 1440 native resolution. It features a high-quality IPS screen, LED backlighting, and an anti-glare screen that many people--including myself-- find desirable. Size: The size of the display that you should buy depends on available desk space, your budget, and your preference. Many of my work colleagues prefer to use two smaller displays as opposed to a single large monitor. I prefer one large display--27-inches seems to be my sweet spot. A 24-inch display seems too small to use by itself, and when using two displays I don't like the dead space between the bezels. Plus, I feel like I'm constantly trying to find the darn cursor when using two monitors. On the other hand, 30-inch screens can be a little overwhelming--I feel like I'm sitting in the front row of the movie theater and want to scoot back from the screen in order to see it all. Resolution: Don't assume that two displays that are different makes and models but are the same size will have the same resolution. You can find 27-inch displays with 2460 by 1440 or with 1920 by 1080 resolution, the same as most 23- and 24-inch displays. A new, wider aspect ratio, 21:9, has hit the market. We've reviewed several of these ultra-wide displays that allow you to have more document windows open side to side, but without the annoying bezels getting in the way. I really liked this wide aspect ratio and found myself using these monitors on my desktop long after the review had posted. 4K today: A resolution revolution is taking place in the desktop monitor market. Ultra high definition displays, also known as 4K displays, have come down in price and are now within the budgetary reach of many consumers. These UHD displays boast 3840 by 2160 pixels--4 times as many pixels as a 1080 HD monitor. A lot of horsepower is needed to drive these UHD displays and Apple's 4K support extends only to recent MacBook Pros and the new Mac Pros. OS X 10.9.3 dramatically improves the look of UHD monitors running in both native and scaled resolution modes, but many applications are still not optimized. At full resolution mode, icons and menu text are tiny. You can increase text size and icon size easily enough, but many times I found my aging eyes squinting at itty-bitty text. 4K support on PC graphics cards is more common and Windows 8.1 does a good job of displaying its icons, menus and other screen elements at reasonable sizes, regardless of the resolution setting. IPS: In-Plane Switching (IPS) changes how the liquid crystal molecules in an LCD display line up in the panel. Compared to twisted nematic (TN) LCDs, IPS panels have much wider viewing angles and offer better color reproduction. IPS-based monitors are also more expensive than TN-based monitors, so you'll need to balance price with quality. LED backlight: More environmentally friendly than the CCFLs that once dominated the LCD backlight industry, LEDs use less harmful materials, reducing the amount of mercury and other hazardous chemicals that find their way into landfills once a display's useful life has ended. LEDs also require less to time to warm up to a stable brightness than CCFLs. If you're like me, you'll appreciate a display with a flexible, highly adjustable stand that can tilt forward and back, swivel side to side, and raise and lower a few inches to adapt to your needs. Some monitors can pivot from traditional landscape orientation into portrait mode. This can be helpful, depending on the type of work you do--for example, this guide is much longer than it is wide, so switching my display to portrait mode would allow me to see more of it at once. 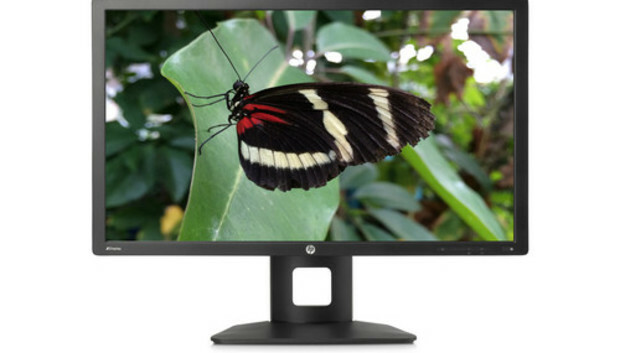 The HP Z Display Z27i ($769) is a 27-inch professional desktop monitor with 2560 by 1440 native resolution. It features a high-quality IPS screen, LED backlighting, and an anti-glare that many people--including myself--find desirable. Read our full review. The 27-inch IPS-Glass Panel Pro LED Monitor ($483) isn't the first Monoprice IPS monitor that I've looked at, but it's the first that doesn't feel like a compromise between price and features. Read our full review.